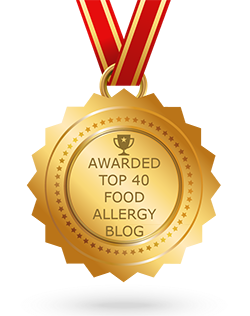 Here are a tips for avoiding food allergies during your trip to Disney World. 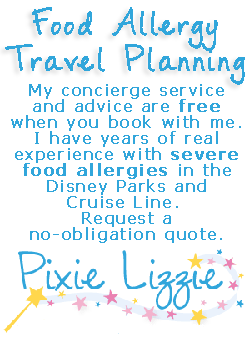 Before going to Disney, be sure to talk to the Special Diets Team to make accommodations for your allergy. Make sure you inform the hosts at each dining facility and arrange to speak with the chef. Wipe down tables, booths, and chairs if necessary with your own wipes. Be cautious when hugging furry characters! We give our daughter a quick wipe after the furry visitor has left the table. When your food arrives, double-check everything. Be sure to thank everyone for making your visit allergy free and tip well. They’re already very willing to help, and you want to be sure they know you appreciate it. If you are especially sensitive to some foods where skin contact can be an issue, be careful when meeting Disney Characters.